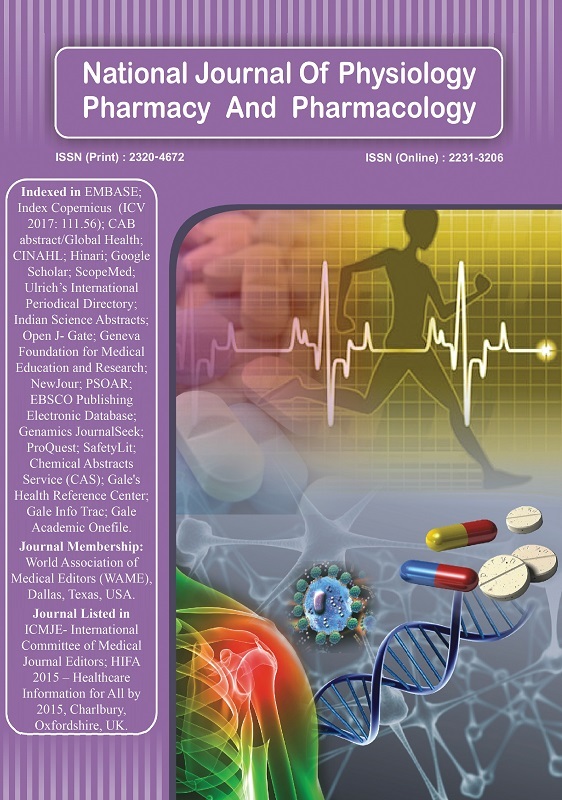 National Journal of Physiology, Pharmacy and Pharmacology is a monthly peer reviewed journal. The journal is having open access policy. NJPPP is an "open access" journal which means that all content is freely available without charge to the user or his/her institution. Users are allowed to read, download, copy, distribute, print, search, or link to the full texts of the articles in this journal without asking prior permission from the publisher or the author.